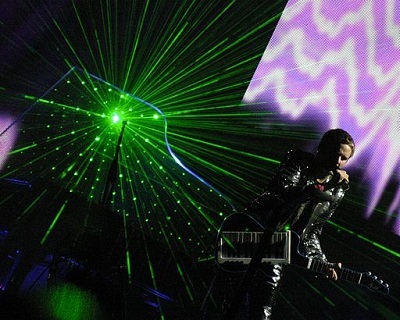 Get notified when Muse tickets are available! Muse is a rock band from England that formed in 1994. Muse is made up of Matt Bellamy on vocals and guitar, Chris Wolstenholme on bass guitar and keyboards and Dominic Howard on drums and general percussion. “Showbiz,” their debut album, was released in 1999, but they did not gain widespread popularity until their 2003 album “Absolution” debuted, which became the first of five number one UK albums in a row. Muse has won a number of awards including two Grammy Awards, two Brit Awards, five MTV Europe Music Awards and 8 NME Awards with more than 20 million albums sold globally. See this act live when you purchase your Muse tickets now!